The country’s top daily fantasy sports companies attracted nearly $3 billion in player entry fees in 2015, more than triple from the previous year, even as pressure from regulators put the industry’s future in question. The strong growth came in a wild year for the sector, which exploded in popularity after a multimillion-dollar marketing campaign. Investigations by state and federal officials followed, questioning whether the games violate gambling laws. The new industry estimates, from the research firm Eilers & Krejcik Gaming LLC , show that FanDuel Inc., a New York company, held on to its position as the largest in the fantasy sports industry, with nearly $1.8 billion in fees collected from players. Boston-based DraftKings Inc. remained the second-largest, collecting nearly $1.2 billion. The two account for nearly all of the US daily fantasy sports market. Yet daily fantasy sports and sports betting are both dwarfed by government-run lotteries, which accounted for nearly $74 billion in sales in the United States in 2015, according to the North American Association of State and Provincial Lotteries. “After just three years in business we had a very successful 2015, and expect continued progress in the coming year,’’ said DraftKings spokeswoman Sabrina Macias. In fantasy sports, players select fictional rosters of real-life athletes and amass points based on their performances in actual games. Daily fantasy sports, the kind offered by DraftKings and FanDuel, offer a large number of contests that last just one day or one week. Prizes in the biggest games can exceed $1 million. The companies typically keep about 10 percent of entry fees as revenue, using the rest to bankroll cash prizes for players. Eilers & Krejcik estimated that FanDuel reaped about $174 million in revenue last year, compared with about $106 million for DraftKings. While the two companies are private, they have reported entry fee and revenue figures in previous years, giving an idea of the industry’s growth. FanDuel said it collected about $622 million in entry fees and more than $57 million in revenue during 2014, while DraftKings said it collected $304 million in fees and about $30 million in revenue. 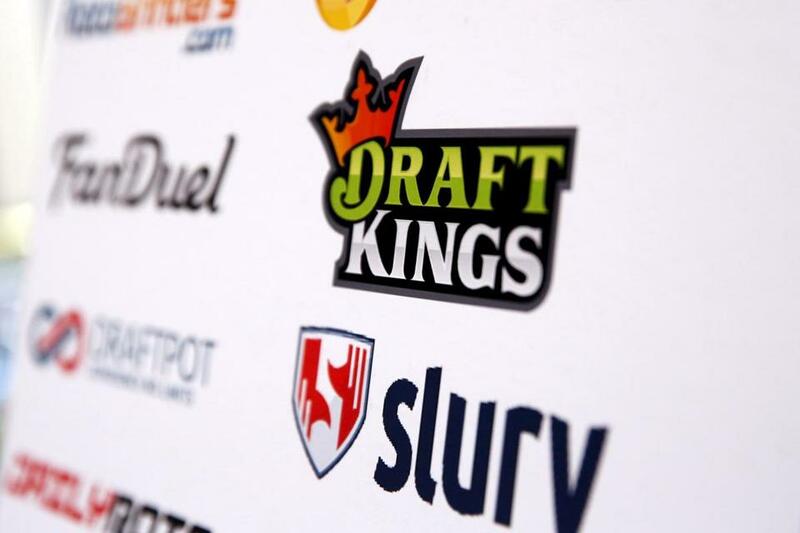 Like many fast-growing consumer Internet companies, neither Draft-Kings nor FanDuel is profitable, relying heavily on money from investors to pay for their growth. Eilers & Krejcik estimated that DraftKings lost about $280 million in 2015, while FanDuel lost an estimated $137 million. Fantasy sports face an uncertain future; the industry’s legality has been challenged by a handful of state officials. In New York, Attorney General Eric Schneiderman has sued to ban DraftKings and FanDuel. The companies are fighting that lawsuit, arguing that they are permitted under New York gambling law because the skill required to win negates any random outcomes in the underlying sporting events. A DraftKings lawyer recently said that losing that case could force the company out of business. DraftKings investor 21st Century Fox Inc. recently disclosed it had marked down its $160 million stake in the company by about 60 percent, and a key payment processor recently said it was backing away from the industry. The industry has responded by seeking legal changes in state legislatures. Massachusetts Attorney General Maura Healey is finalizing consumer protection regulations that would restrict how the companies may advertise and ban players under 21.